Ampara is working to provide migrant farm workers with high-quality, affordable housing by renovating vacant or underused properties into dormitory-style dwellings. AnySauce works with producers to promote and market their brand of unique sauces and seasonings online by creating professional merchandising content that promotes them. AnySauce offers a convenient customer experience as well, providing access to a wide range of product options including customer reviews, references from previous searches, and product recommendations that inform the shopper. Archer First Response Systems utilize the athleticism of multi-rotor Unmanned Aircraft Systems to transport consumer first response equipment, such as an A.E.D., EpiPen or first aid supplies, efficiently and effectively. Our dynamic solution can carry lifesaving equipment a distance of up to 12 miles in three minutes or less. The system is holistic, turnkey and fully autonomous, and works well in active adult and golf communities, large resorts, theme parks, and universities. 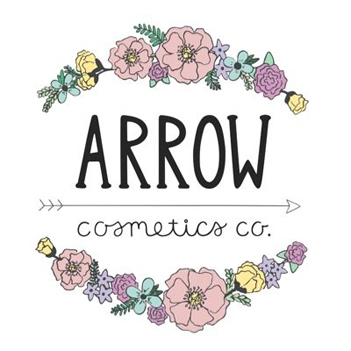 Arrow Cosmetics Co creates do-it-yourself makeup kits with all-natural, organic ingredients: good for you and the environment. Bedwalk is an online real estate database company. The platform uses built-in filters to help students find off campus housing solutions. Bohindie Stream is a jewelry and vintage clothing line born out of magic and rebellion. Bohindie Stream’s collection is inspired and influenced by the sky, nature, life, the universe, music, and the unexplainable. Most, if not all, of Bohindie Stream’s pieces revolve around crystals. Along with the crystals’ breathtaking raw beauty, they each carry along with them their metaphysical properties and own unique meanings. Campus Thrift is an online thrift store exclusively for college students to buy and sell used goods. Safer than a Craigslist or Ebay, students can only sign in with their .edu email, which every college provides to its students. CleanTally was made by students, for students. We know that life can get messy, and an affordable way to keep your place tidy is a must. We are committed to putting the customer first in order to provide the most positive housekeeping experience possible. CollegeCabs combines the high demand on campus for taxicabs with the convenience of a smart phone application. Based on their location, students connect to and request transport from the nearest possible taxicab driver. From requesting the cab to making the final payment, CollegeCabs delivers efficiency and convenience to both riders and drivers. DivvyUp’s mission is to give amazing socks to the world. Knowing that fun socks were trending in the fashion world, especially on our college campus, we came up with a plan to enable us to donate as many socks as possible to the local shelter. We plan to achieve this goal by selling unique, crazy, novelty socks to the general public with the model of donating a pair for every pair purchased. DowntoTrade is an online marketplace for college students with .edu emails. Buy and sell your textbooks, notes, tickets, furniture and any thrift items as well as connect with students for subleases and tutoring. DustBusters: We know the recipe to cleaning college-sized messes on a college-sized budget. From restoring a house after a pregame to tidying up the bedroom, we do it all with speed…and a price no one can match. Each “DustBuster” is a student who has been thoroughly trained and is both fully licensed and insured. There’s no mess – big or small – that we can’t handle! For realtors and home sellers in north and central Florida, Dynamic Photography Solutions combines the following innovative techniques: professionally-edited high definition photography, close proximity aerial photography and video, first-person video tour of the home, and tailored media solutions with any package. Protein shakes are messy, inconvenient and do not taste good. Evonutrition has solved this problem by making a high protein ice cream with the same nutritional qualities as a protein shake, but much more convenient and better tasting. Coming soon to a gym or health club near you. FinAddix utilizes a sales force of Charter Captains around the world to snap a photo, choose the desired size, and enter the shipping and billing information. In less than two weeks, a professionally printed custom wall print arrives on their doorstep. FinAddix products are perfect for displaying in the man cave, office or family room. 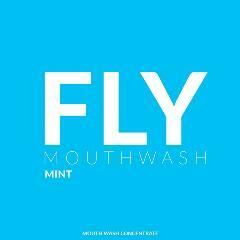 Fly Mouthwash is a highly concentrated form of mouthwash designed to give the user the portability of a pack of gum or mints with the freshness, feeling, and effectiveness of an at home mouthwash. To use, simply add a squirt to an ounce of water, squirt directly in your mouth followed by a sip of water, or just squirt a little in your mouth when you aren’t feeling your freshest. Frap Fitness LLC is a Tallahassee local start-up focusing on the development of comprehensive Heath and Wellness programs for small to medium size businesses and organizations. The business is built off the foundation that the health of an organization as a whole, determines the wealth of an organization. Gamester PC is for people who have an interest in the computer gaming industry. Our personalized service during the customization process makes buying a tailored computer a rewarding experience. We want to remove the stress and distrust from buying a gaming computer, through the quality of our service and quality of our product. 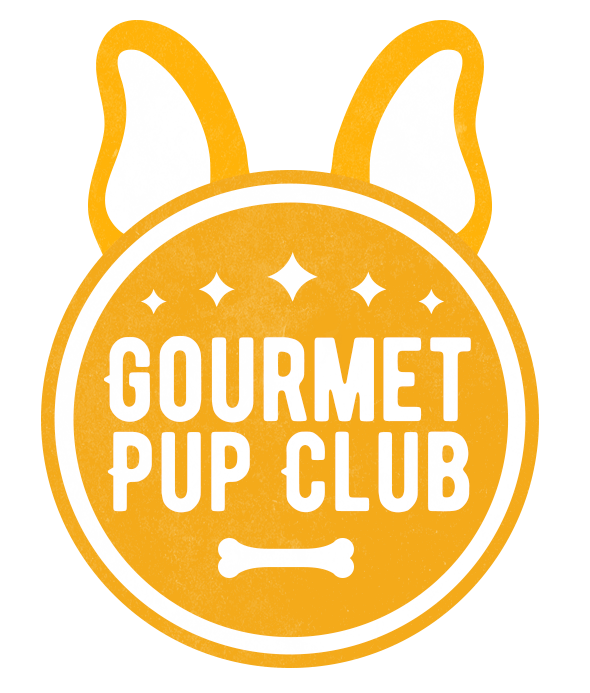 The Gourmet Pup Club is a health-conscious monthly care package aimed to responsibly satisfy your pet’s tummy and happiness through handmade dog treats crafted with premium ingredients. Hooligans Movement. Fostering creative minds at a young age is vital for the advancement of our community, so we have decided to pay it forward. Five percent of our profits are given to the Mockingbird Foundation, which fundraises lifelong learning opportunities in music education. 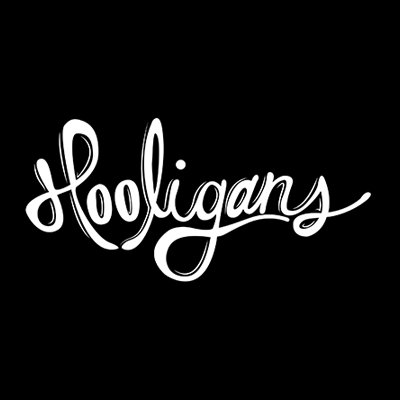 Hooligans is more than just a brand, it’s a culture. Join the movement today. IAMImage provides photography services for a variety of occasions including weddings and personal photo shoots. The company also provides website design and other graphical designs services at a range of price-points. With a strong base in the Christian faith, Karolyne also aims to use her photography and poetry to spread the word of God. Intimately Coupled provides artificial intelligence for the sexual health and wellness industry. Kanyu matches instant jobs with willing student workers. We are aiming to take away the hassle of the hiring process by offering a unique experience. The Kathi Smillie Nursing Foundation was founded in memory of Kathi Smillie, a mother of two who died of breast cancer at the age of 47. Our main goal is to promote the nursing field through endowed scholarships for families that have been affected by cancer, and our secondary goal is to help those fighting cancer who have financial needs not covered by health insurance. Legion of Breadwinners Universal is a mass media/entertainment collective focusing on promotion of local small business and community ventures, and providing open access film and media projects. LESS provides transparent access to energy consumption information. It’s your data and we believe you should have it. Data is gathered through a partnership with your local utility company. Using proprietary software, we extract data from electric smart grids, then process and distribute the personalized information for each household in daily or weekly text messages and/or emails. Our product complements the monthly utility bill by providing real-time access to data. Leverage Social uses proven digital marketing strategies to bring in more revenue for businesses that don’t have the time, skills, or resources to create a meaningful online presence with online marketing and ad spend management services. Your old cotton mop now has competition: The Lion Mop. The Fenix Trading Company has taken an outdated product and enhanced it by adding a competitive, durable, and colorful twist. The Lion Mop is made with Chamois, an incredibly absorbent material that holds 10x its weight in water. The Lion Mop is also light, affordable, and comes in seven different colors. No lint is ever left behind and the replaceable mop head is even washable. With a Lion Mop any mess can be tamed. Lipid Nanotechnologies developed a revolutionary and novel method to increase the efficiencies of drug discovery by further miniaturizing the process of high-throughput screening through their patented Liposome Microarray Technology. High-throughput screening involves the miniaturization and automation of bioassays so that millions of variable drug compounds can be tested in a short amount of time, which is one of the most critical steps in the discovery of new medicines and chemical entities. MBK Transportation is a party and charter bus company located in Tallahassee. Our goal is to provide safe and fun transportation. Our buses are able to seat 25-50 passengers and are equipped with sound systems that include auxiliary cord inputs. Whether you’re looking for a party bus to a local event, or a luxury coach to take around the nation, we’ve got you covered. MediciMoguls is a business administrative platform that comes equipped with a business to business social network that allows entrepreneurs to connect, collaborate, and grow together. Moolaguides offers students a platform to get better grades and make more money. There are two user groups on the site: buyers and sellers. The sellers are dedicated, high-achieving students who want to earn extra cash – they take detailed class notes, then generate effective study and review materials to sell. Buyers may be struggling in a particular course, or missed a day of class, or just want additional notes to complement their own. Buyers purchase reasonably priced notes and guides. Moolaguides stands to be profitable, educational, and very simple to utilize for all involved. Moolaguides was a finalist in the 2013 Cupid’s Cup Business Competition. 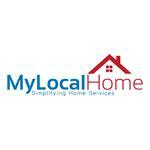 MyLocalHome tackles the hassle of maintaining a home, automates and schedules services tailored to each user’s home at affordable pricing by local, qualified, and user rated profiles. Notelog is a premier online platform used for sharing and managing academic knowledge on college campuses worldwide. With the introduction of notelog.com, the company is changing the way students take, view and share class notes, while also innovating the way knowledge is distributed. Notelog is leading a movement toward more eco-friendly campuses by providing an alternative to traditional pen and paper note-taking. Its free, online note-taking application allows students to type class notes and instantly store them to their Notelog profile for easy access anywhere. NPGroup, Inc. is in the business of providing advanced, non-destructive, online structural monitoring systems and services for its clientele in the highway and air transport industries. Safety is a major concern for travelers and engineers, and has resulted in multi-billion dollar investments into building safer and stronger structures. Improving the safety of everyday travelers is our number one priority. We develop effective, sustainable, economical and reliable systems that detect dangers before they become disasters. OnSpot Entertainment LLC offers more than 500 movies and games for rent right on campus, with new releases added every week. We carry video games for XBox 360, PS3, Wii and more. OnSpot is open 24 hours a day, 7 days a week—including holidays. Our focus is on providing friendly and compassionate customer service. Looking for something in particular? The OnSpot kiosk is conveniently located at 75 N Woodward Ave-on the southern, outside wall of Oglesby Union. Rent Movies and Games On the Spot. Party Hopper Tallahassee: Making sure students get around safely by connecting them to a paid designated driver for the night! For one flat rate, any student can have a safe and guaranteed way of getting to and from the bars and clubs in Tallahassee. At PlayBall, we’re here to help you out. We want to take away the hassle of finding and creating pick-up games so you can focus on playing. Customize your profile to your preferences and time so you can have the best pick-up games possible. Also receive IM game alerts so you never miss a game! Profi Facility Maintenance is a premier provider of facility maintenance services in Tallahassee and South Florida. Core services are: commercial janitorial, grounds keeping, day and night porters, and trash concierge. Proxi is a local and anonymous media sharing app that connects users to their local audience through user generated content. The Opus Project developed Queralyze, which, in accordance with standards set by the Common Core, seeks to improve students’ test scores by providing short videos that break down complicated research and writing, while teaching how to apply these skills in class. Students are prompted at various levels of difficulty to write essays using analytical and advocacy skills. Queralyze’s database, populated with articles from vetted sources, is packaged in a manner that allows teachers to incorporate the tool easily into their curriculum. Recliq is a mobile application that connects advertisers with social media Influencers. Advertisers create campaigns on Recliq’s platform that our Influencers share across social media. Recliq’s Influencers act as the Advertisers’ United States brand ambassador team by sharing each company’s campaign to their respective social media followers while getting paid for doing so! RoomScapeU is a unique, one-stop shop that delivers collegiate lifestyle products to university students across the U.S.
Saura is the merchandiser of its own brand of solar powered accessories, including a smart phone charger. Smoke irritates the throats of smokers. The Smoke Chillerz device cools down smoke passing through it, leading to decreased irritation. Social Safe is a safety app designed to empower women and combat sexual assault/harassment on college campuses. The app provides a more efficient way of contacting your friends and family, asking for help, and increasing personal safety. Solarize Styling is a clothing rental company that aims to bring the experience of renting clothes local. Through partnerships with local boutiques, Solarize will provide the opportunity to rent clothing with ease and at an affordable price. STEM Veterans USA is focused on recruiting, retaining and assisting the overall success of Veterans into STEM programs while simultaneously and proactively establishing a networking hub for students and employers. StooKoo.com is a web platform that allows businesses to offer a “deal of the day” to members in each college town. In order to attract students, we try to feature only irresistible deals. StooKoo partners with each business to create an exclusive deal which we will feature on our web platform and place directly in front of thousands of local college students eager to buy. If a certain number of people sign up for the offer, then the deal becomes available to all; otherwise, no one gets the deal that day. Are you health conscious and adventurous? Come to Tallahassee Trapeze Adventure to experience fitness in a non-traditional way. Personalized instruction makes the experience encouraging and fun. The Launchpad Group helps level the playing field between small businesses and national brands. In today’s market, the company with the most interesting and relevant content wins the most market share and sales. The Launchpad Group helps the small business owner dominate their marketplace by getting on the first page of search engines, and getting the most clicks. We do this through social media promotion, creating buzz, blogs, website optimization, SEO and online paid advertising. TowAlert: You parked in the wrong place and discover your vehicle is gone. To find it, you call the police and every towing service in Tallahassee. Our product allows you to know which tow company has your vehicle, where it is, when and why it was towed, and the amount of the towing fee. This also solves the need for tow companies to have open space, as there is an initial charge for towing. TownAhallic is committed to making your large city feel like an inclusive and interconnected town. 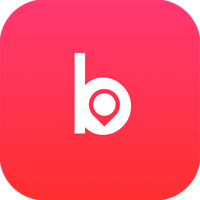 Our mobile application allows city officials and businesses to easily post information on events, landmarks and similar information, making it easy for the populace to incorporate this information into their evening plans, learn about their community, or just try something new. Our goal is to be established as every person’s one stop for local information. Tweb is a mobile app that serves as a centralized resource unique to each campus. Users can create posts or comments that are instantly shared with the entire campus, so there is no more having to post in 20+ groups. The posts are displayed as a campus timeline that you can filter for ANY information that you want to discover on campus. Whether it’s finding what’s going on in the union, a textbook for sale, or the hottest party on Friday night, just check Tweb for the information that your peers posted. Tweb puts your campus at your fingertips. The Ultimate League Association is a parent organization for Ultimate Frisbee leagues across the U.S. We provide a full suite of services to our members, such as sharing best practices, website creation, reduced prices on insurance policies, jerseys and discs, sponsorship acquisition and maintenance, a unified marketing presence, and an annual All-Star tournament. Unhoused Humanity is a startup non-profit organization with a mission to diminish the boundaries that divide those who are homeless from the rest of society. We use a crowdfunding platform to connect donors with homeless individuals or families who have stable income, but need help with move-in costs. University Shoe Repair caters to university students and faculty. Our goal is to bring a more economical choice to the market when deciding what to do with that old pair of dirty and torn shoes or boots. Bring them to us and let us bring them back to life. WAVELET combines the power of words with the uniqueness of a personalized gift by taking an individual’s spoken words and transforming the waveform, or audio signature, into a three-dimensional bracelet. Accompanying each bracelet is a plastic card displaying the written message, the waveform, and a serial number, and it can be scanned to pull up the WAVELET website where the original sound file can be played. This makes it possible to hear a loved one’s message in addition to wearing their personalized bracelet. Listen to the Web. Wordio transforms written content on the web into audio instantly, allowing you to listen to your favorite web articles while driving, exercising, or simply relaxing. Wordio’s mission is to help people learn and consume more of the world’s information. Using text-to-speech technology and advanced aggregation and curation techniques, we are creating an audio layer over the entire Internet, enabling people to become more knowledgeable by consuming more content. Winners of the fall 2011 Startup Weekend Tallahassee. ZOI is an app that is essentially Facebook for fraternities. Users create fraternity profiles for rush purposes. Users also have access to several features that lead to efficient fraternity management and communication, such as a message board, group messaging, event calendar, and more.